When I was 16 years old, I was invited to play on an all-star baseball team along with several other kids from Utah county. I didn’t really know the other guys that well, but we had a really good team and we started to become friends over the few weeks we were together. The team was put together to compete in an all-star tournament in Salt Lake. Even though we had only recently been put together as a team, we somehow won the whole thing. Because we won, we advanced to the regional tournament. Lucky for us, it was in Arizona. Yuma, Arizona. In July. So, we had a road trip. We piled in together in a couple of big vans, and hit the road. The logical place to stop halfway from Utah county to Yuma was, of course, Las Vegas. The coaches got us checked into our rooms, and left us there. The slots, or blackjack tables must have been calling. Now, as you can probably imagine, 15 teenage boys left on their own about a mile from the Vegas strip with 14 hours before the vans left again for Arizona was mischief waiting to happen. We were set to leave for Yuma early the next morning, but 15 year olds don’t usually sit and read books in hotel rooms, so we put all of our teenage brain cells together and decided to take in the sights. After a few minutes, we left and walked all through the night, up and down the strip, seeing the sights, walking through the Caesars palace mall, and soaking it all up. After several hours, we were exhausted. I still don’t know who, if anyone really, came up with that brilliant idea, but It wasn’t a good one. And, unfortunately, I just went along with the crowd. About 5 a.m. we finally realized we were super tired, and someone decided that rather than sleeping, we just needed caffeine. So we stopped at a small fancy coffee shop in Caesars Palace somewhere. I sat there staring at the menu not knowing really what I was doing. I remember feeling way out of place. What was I supposed to order at a coffee shop anyway? Well, coffee is what you order at a coffee shop. And so, one by one, every one of the other players who were with me ordered a cappuccino. Apparently it’s stronger than coffee, so it was perfect for anyone who happened to have stayed up all night walking. I found myself in a spot I had never really been in before in my entire 16 years. 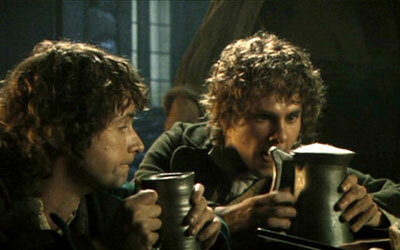 I had never been offered a drink, a cigarette, or anything else that was against the Word of Wisdom. Peer pressure wasn’t really something I had ever dealt with either. I knew a good Mormon kid wasn’t supposed to drink coffee, tea, or cappuccino, even if I did stay up all night. I sat there and had to decide if I was going to go along with everyone else who had already ordered or do what I had been taught. I had to decide for myself. Mom and Dad weren’t there, the bishop wasn’t there, no one who really knew me was there. It was completely up to me. I could take that first step in either direction. As seemingly insignificant as that choice in reality was, the principle was huge. Which way would I choose to go? It took me only about 5 seconds, and maybe my lack of money helped, but I decided I would go with the $1.95 coke, instead of the $6.99 cappuccino. After I ordered, all the other guys kind of looked at me sideways and wondered why I had ordered coke at a fancy coffee shop, but I felt happy that I did. A few minutes later, I learned that the Lord has our backs when we do what he asks. Even on little tiny choices that may not seem like they mean a whole lot in the big picture. He knows me, and all my little personal battles, choices, struggles, and temptations. I had broke ranks with all the guys around me to try and do the right thing. I had stepped out on my own, and the Lord rewarded and taught me in a way that I would understand even with my teenage brain. 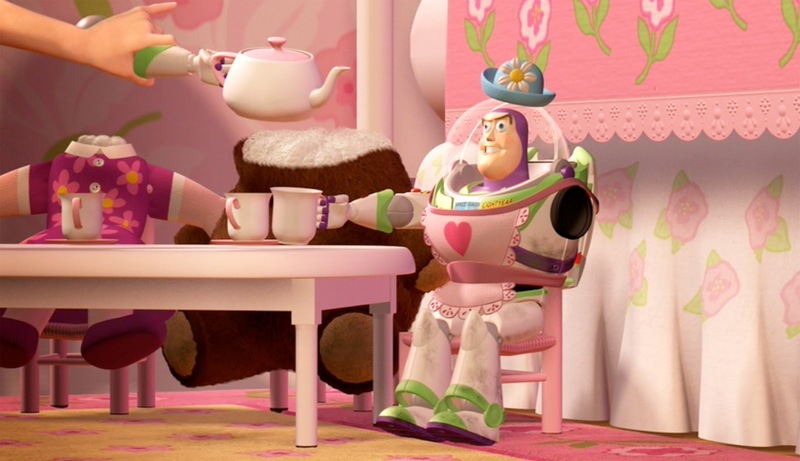 As the cappuccino cups were all handed out to the other players, It looked like Mrs Nesbitt’s tea party in Toy Story. The cups were tiny. They couldn’t have held more than 6 oz. I, however, was rewarded with a gigantic 64 oz towering container full of delicious Coca Cola. It looked more like a giant fish bowl, than a cup (think of the time the Hobbits found out what a “pint” was at the Prancing pony in Lord of the Rings). At that very moment, all the other players were jealous of me and my choice that morning. I remember feeling totally justified, and rewarded for that little, tiny, almost insignificant moment in my life. For me, it was a lesson I would never forget. It wouldn’t have been the end of the world had I ordered a coffee that morning. But, the lesson I learned was that I could be strong on my own. I was able to do what I knew or believed was right, regardless of what everyone else was doing. I also learned that it was my choice, not anyone else’s, that would determine who I would become in the future. This lesson of taking that first step out on our own is a lesson we all have to learn. It has been necessary since the beginning. One of my favorite examples of this principle is the one we learn about in Alma 56. This is the famous chapter where we learn from Helaman all about his 2000 stripling warriors. These young men, Helaman describes as being “very” young, had never fought. Even though they had zero experience fighting, they volunteered to be soldiers and join the Nephite armies as long as Helaman was their commander. They joined because the Nephites desperately needed help, and their fathers had previously buried their weapons of war in a sacred covenant, vowing never to fight again. 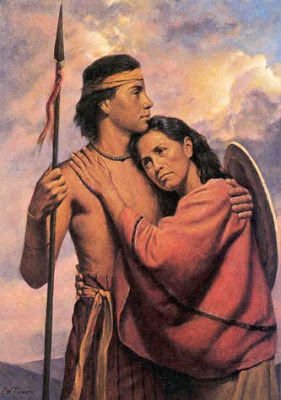 Helaman’s 2000 were a welcome sight to the Nephites, even thought they had no experience, and were likely a bit scrawny. Because of this, the Nephite commanders probably had to use them in a way that would minimize their physical disadvantage. So, they came up with a plan, a plan that would use them like bait. Like worms on the hook. Helaman’s boys finally received their marching orders. Their mission was to march past the city of Antiparah, which held the largest Lamanite army in that part of the country, and draw them out of their fortified city by looking like easy prey. This probably wasn’t hard, because they actually were easy prey. If the Lamanites came out, their job was to run away faster to avoid getting slaughtered. Pretty simple, right? It was a perfect assignment for some fresh legged, young new recruits. The plan worked. Just as the Nephite armies had hoped, the Lamanites took the bait. They poured out of Antiparah. All of them. They then took off in hot pursuit of Helaman’s 2000. The second part of the plan was to have Antipus and his men then take off after the Lamanites, catch them, and engage them out in the open, instead of the fortified city. But, this plan took a full 3 days to take effect. Tyson explained this unique prolonged footrace in a previous post here. After basically running from the Lamanites all day for 3 days straight, Helaman noticed that the Lamanites suddenly stopped chasing his little band of 2000. But, they were not sure as to the reason. It could have been a trap, or Antipus could have finally caught up with them. It was unclear. Those 2000 young men, who had learned all about faith, courage, and trust and had also seen it in action from their parents, were now faced with a decision. A choice. A much harder, more difficult, and life threatening choice than choosing between a cappuccino or a Coke. Helaman was leaving the choice up to them. He had been a commander. He had been in battle. He was intimately familiar with what the likely outcome of a choice to fight would be for those young boys. Those young men knew their job was to be bait for the Lamanites, not to necessarily fight with them. But now, they had to decide what they wanted to do. They needed make their own choice. Mom and Dad weren’t there. Which way would they go? Forward into battle? Or wait it out in supposed safety far away. They had been taught by their mothers to believe in God and his power. They had seen it demonstrated by their fathers in their covenant with God. They had seen or heard of the ultimate sacrifice of many of their lives honoring that covenant. But, their mothers were all hundreds of miles away. They were out on their own. They made their choice. Helaman’s boys would fight. Their choice to fight given their lack of experience required a lot of faith. A lot more than my choice to avoid coffee, and a lot more dangerous. But, the principle is the same. We all need to, at some point in our lives, step away from what we have been taught, and make our own choices that will affect the rest of our lives. The wonderful testimonies of others can guide us, encourage us, set examples for us, but eventually we all find ourselves in a spot just like Helaman’s boys were. We are in a place where we need to make a step in one direction or the other. We will either leap in faith towards the fight, or ease quietly away in the opposite direction. The Lord knows us perfectly, he knows exactly what our anxieties are, he knows our concerns, our fears, our struggles and every little detail of our lives. He is the one that orchestrates these opportunities and moments of truth. He wants us to step out in faith. If we take that step, he will support us. He will strengthen us, protect us, and bless us. It’s how we learn. It’s how we develop our own testimony independent of anybody else. This hard fought, and experienced testimony is the only one that is ultimately strong enough to withstand the onslaught of a world that will challenge us. Helaman’s 2000 took that step, and survived multiple hard fought, and bloody battles against older, more experienced and hardened Lamanites. Not one of Helaman’s “sons” were killed. It was nothing short of a complete miracle. There is no way that should have happened. But, because they were willing to step into the fight with faith in the Lord’s protection, he preserved them. The most important step they took, was that first one. That first step when Helaman gave them the choice to step out on their own, and exercise the faith that they had been taught. We all read this story and marvel on their faith, their courage, and dedication. We try and put ourselves in their shoes and contemplate if our answer would be like theirs in that moment. We may not be asked to take up arms against a powerful opposing army, but we can try and emulate that same courage, dedication and faith. We may not face a literal army of Lamanites, but we all face an army of those who wish to harm us spiritually. We do face an opposing force that will stop at nothing to destroy us and our faith. Let’s take the lessons we have learned, the testimonies we have heard and felt, and allow them to bolster us into taking those first steps on our own to face the enemy with our hearts full of faith. We will be protected. We will be strengthened. Our faith will grow.